After a crushing loss, empath, Joe Ross, accepts a strange, hypnotic priest's invitation to recover at a Quebec monastery, a place infested with supernatural blight and demonic cutthroats. "A child waits for you there," the priest says, "a child who's waited a long time to meet you." At Marianlake Dominican Monastery, Joe bonds with Alain, the mystical child, battles with Carol Ann, love of his life, and connects with Maggieâ€”the great catalyst, the artist whose paintings hold the key to a startling secret and a world-rocking document. And in a land more inscrutable than Marianlake, events explode in a surprising climax when Joe unlocks the secret and discovers a gift for humanity. But he must outwit the forces of Hell to get it. 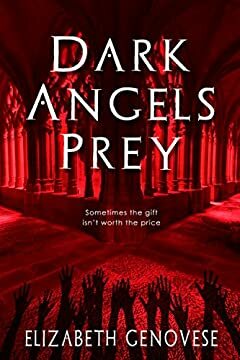 DARK ANGELS PREY ... a standalone tale of supernatural suspense.